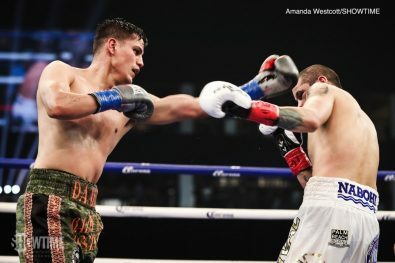 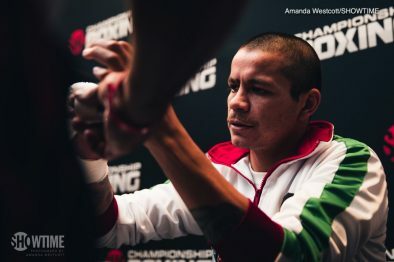 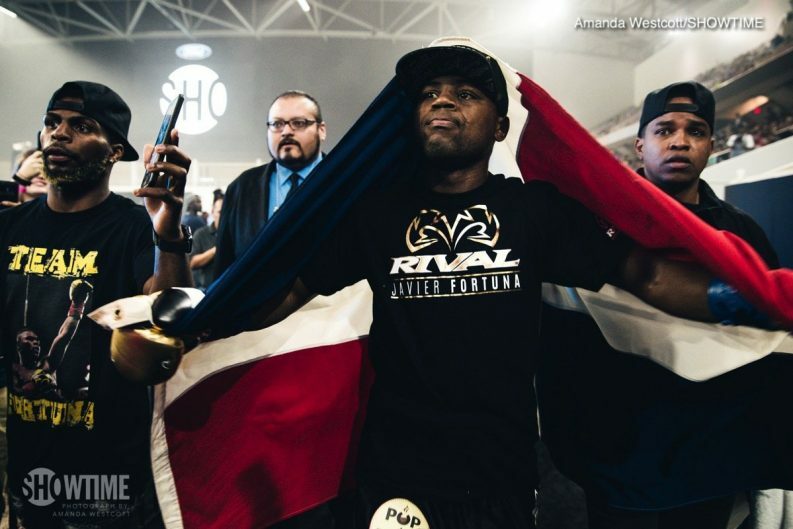 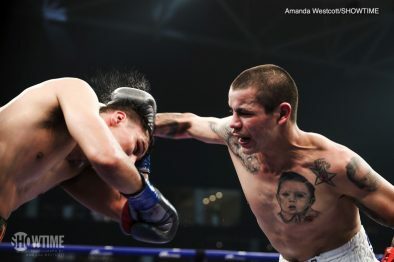 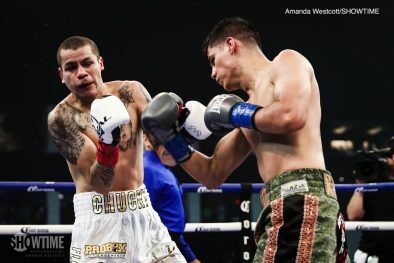 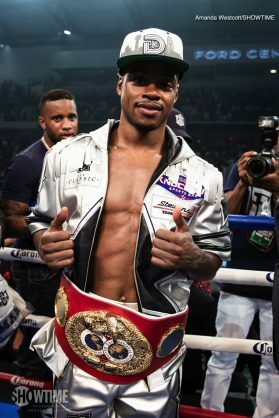 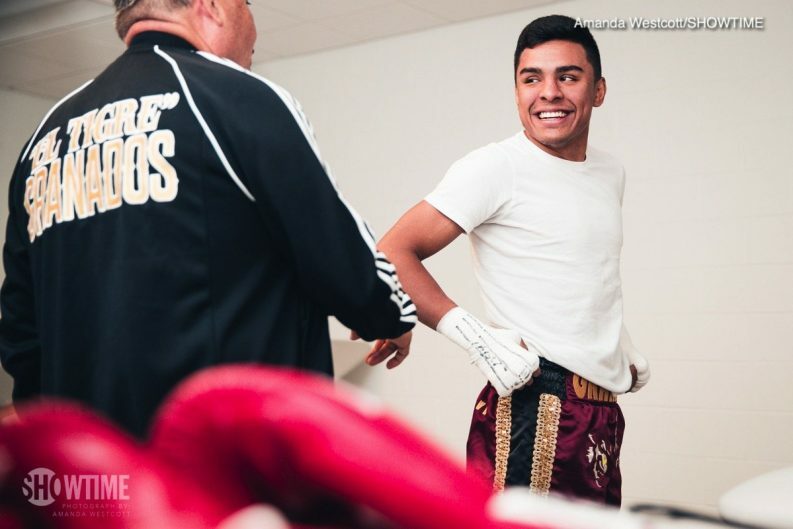 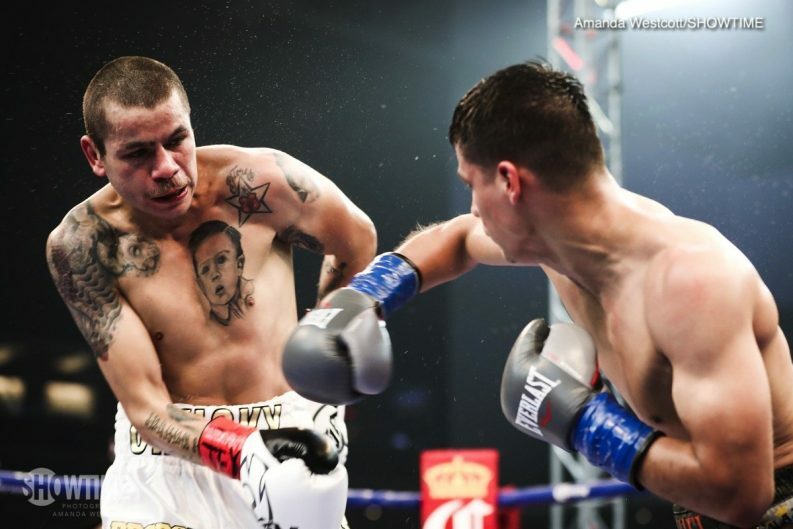 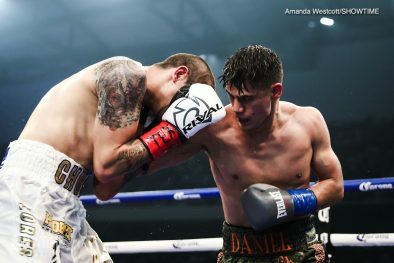 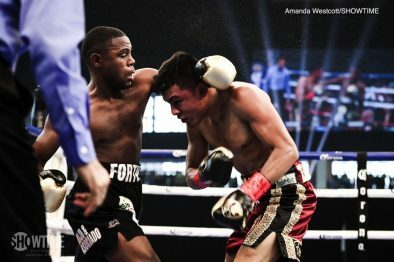 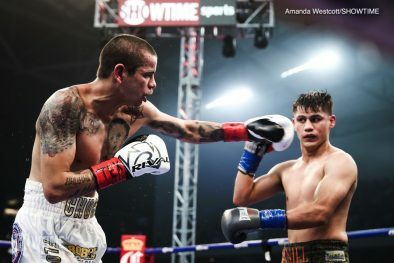 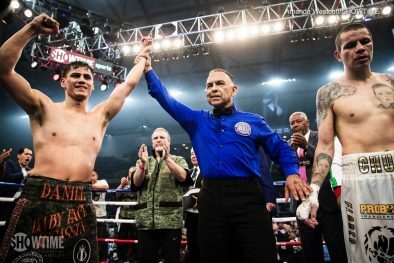 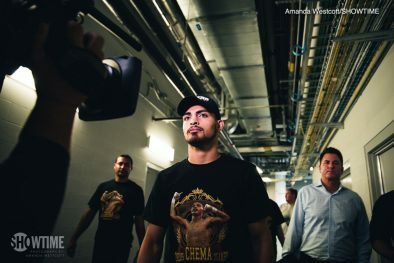 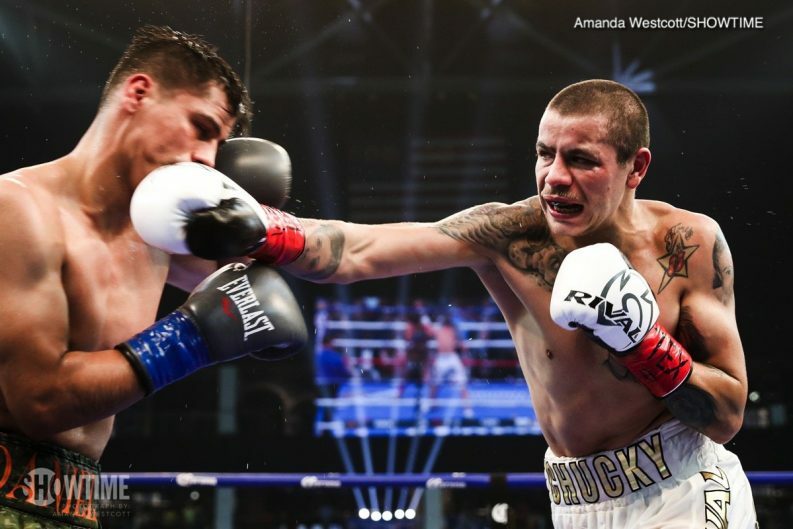 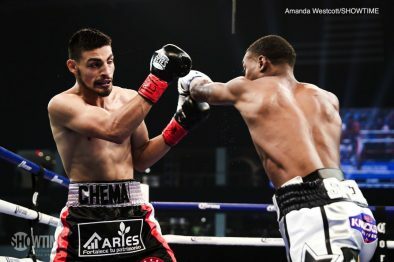 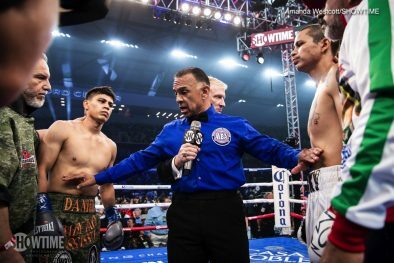 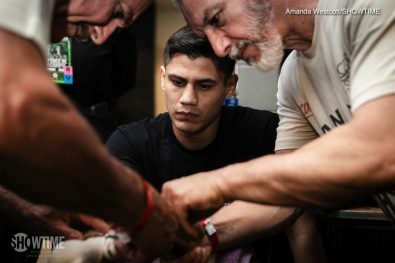 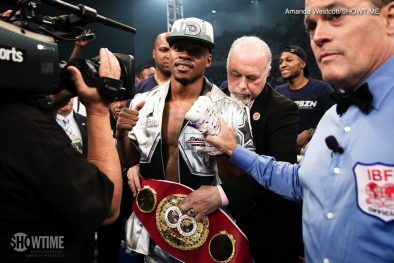 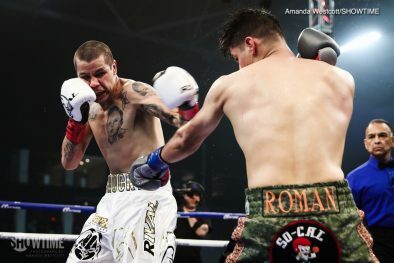 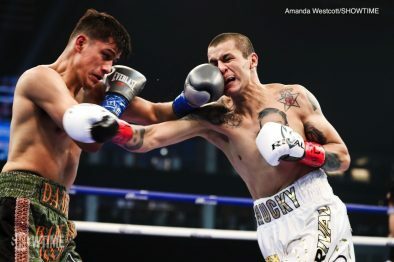 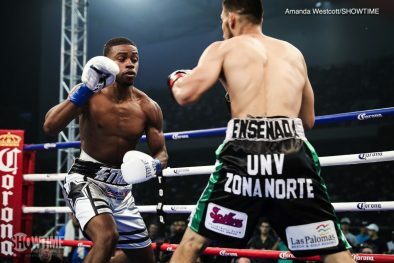 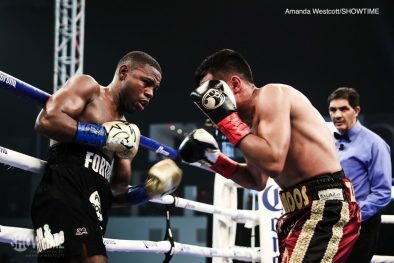 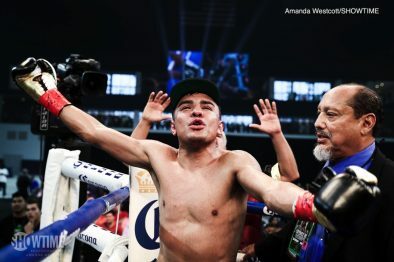 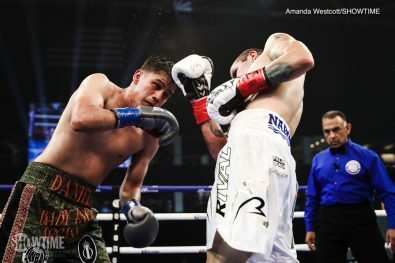 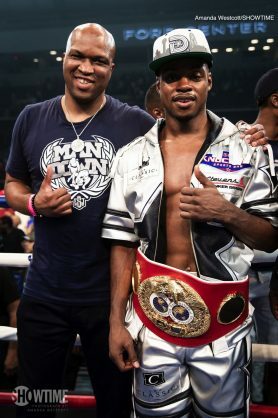 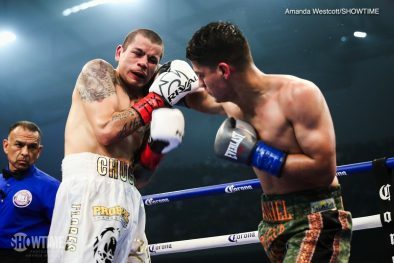 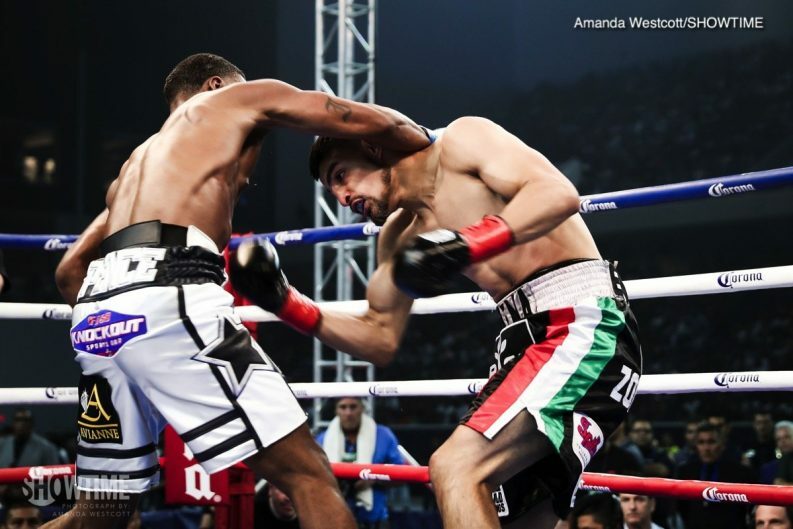 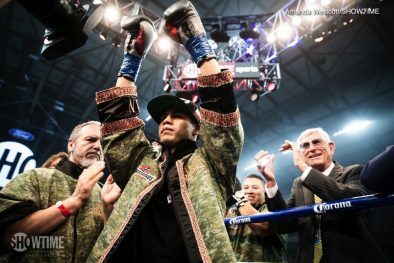 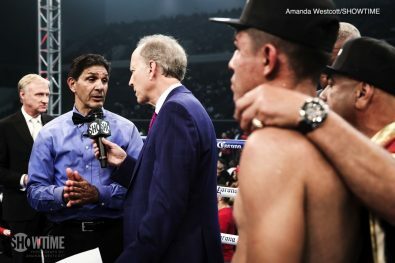 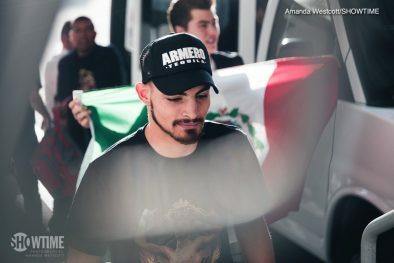 In the televised co-feature, Danny Roman defended his WBA Super Bantamweight World Championship with a unanimous decision over previously undefeated Moises Flores in a 12-round fight that was scored 116-112, 118-110, 120-108. 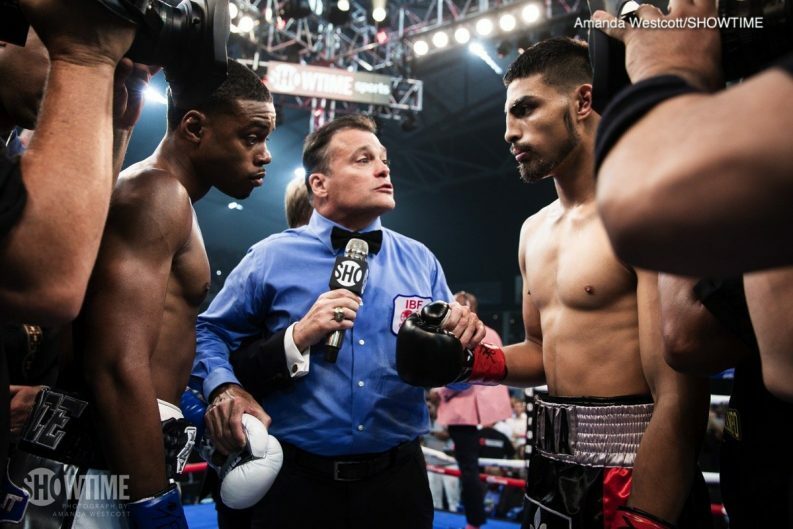 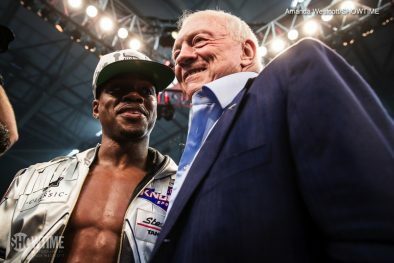 Granados (18-6-2, 11 KOs) and Fortuna (33-2-1, 23 KOs) both came out swinging from the opening bell. 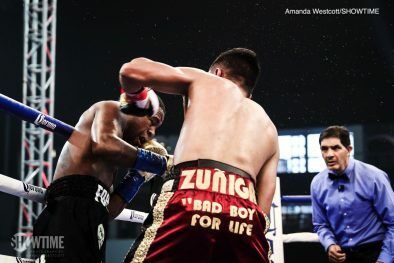 In a wild fourth round, Fortuna was deducted two points, first for punching to the back of the head, and second for holding. 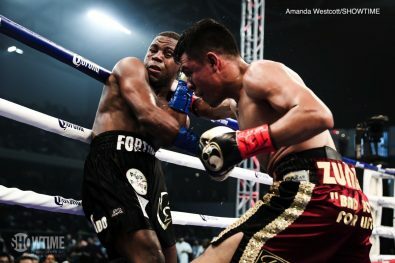 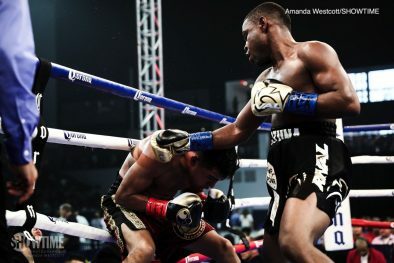 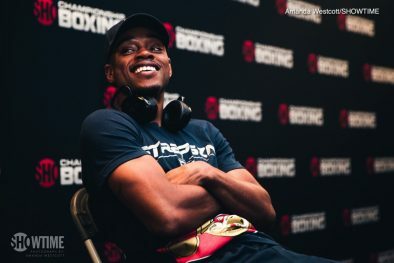 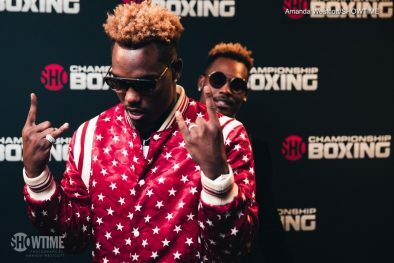 After the second point deduction, the former 130-pound champion Fortuna aggressively moved forward and unloaded a series of shots. 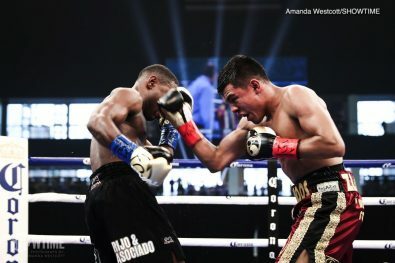 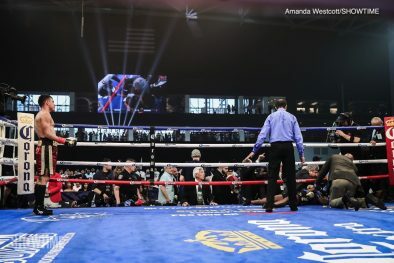 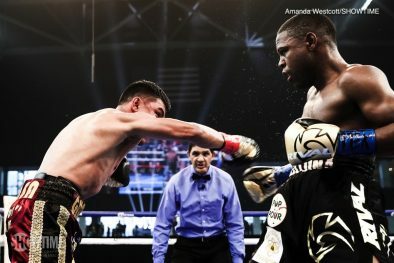 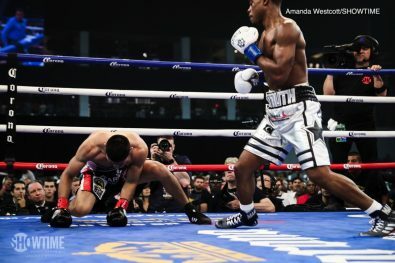 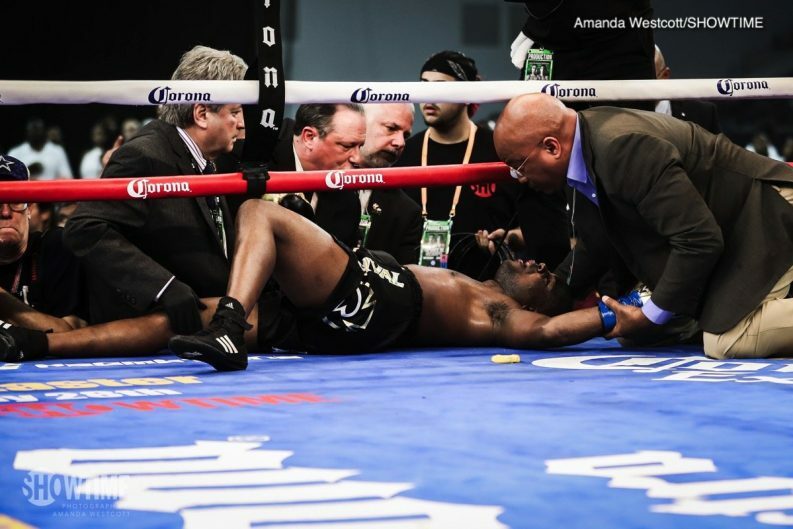 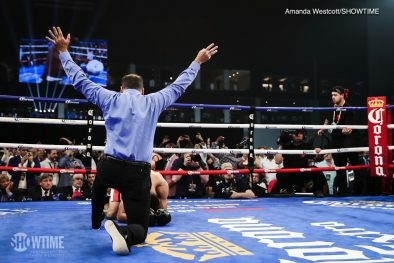 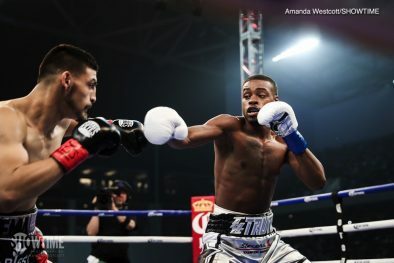 Moments later, Granados and Fortuna were clinching along the ropes near Granados’ corner when Fortuna fell backward through the ropes, whipping his neck as he fell back. 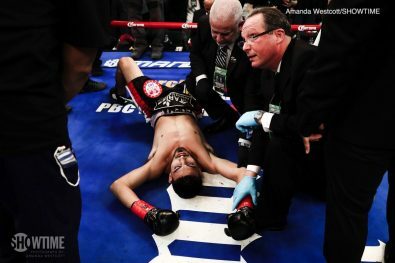 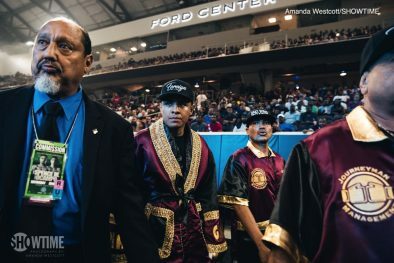 Complaining of pain and lack of movement, Fortuna was stabilized with a neck brace and removed from the ring on a stretcher in what was later described as a precautionary measure. 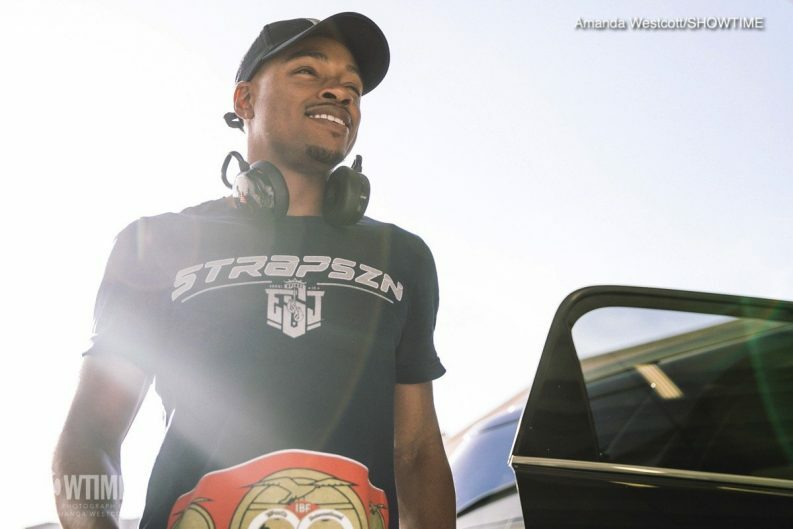 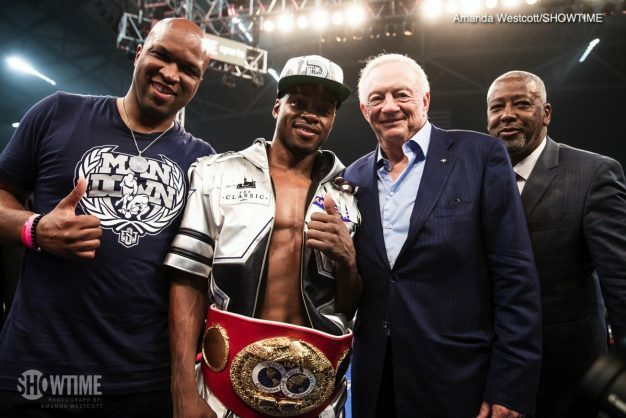 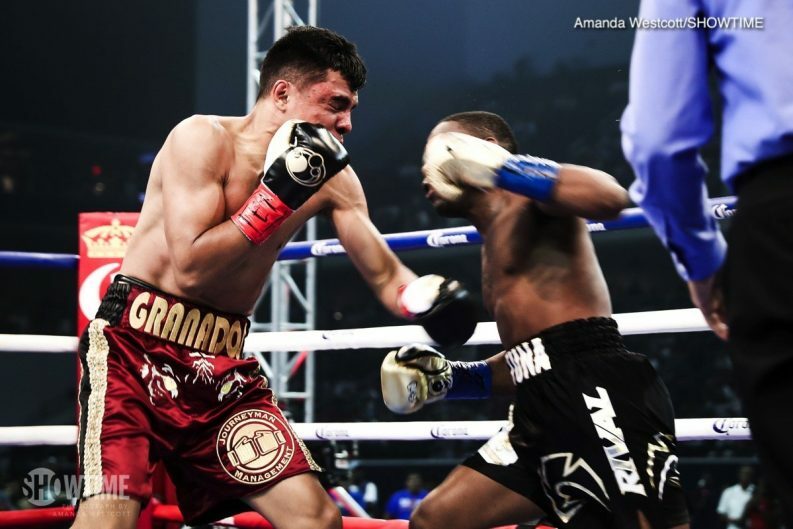 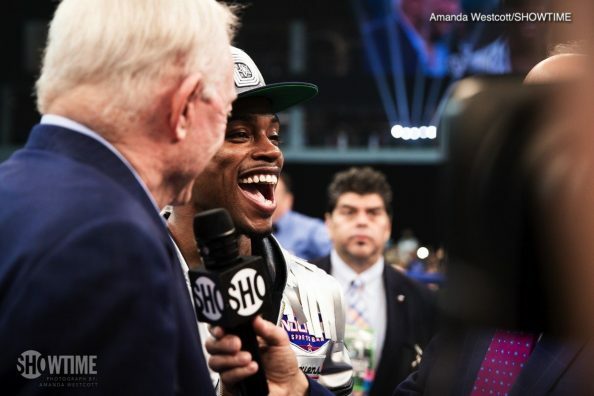 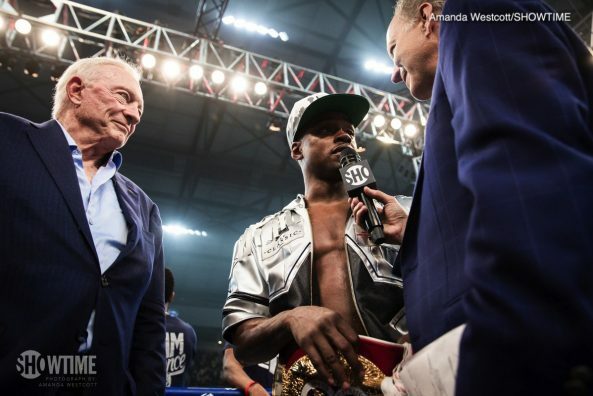 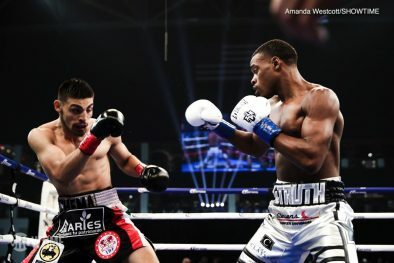 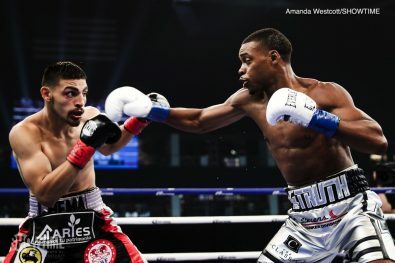 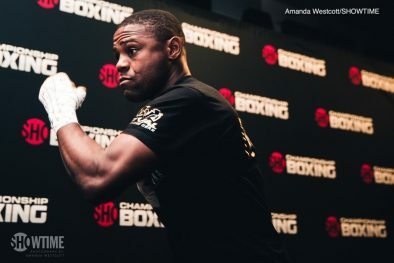 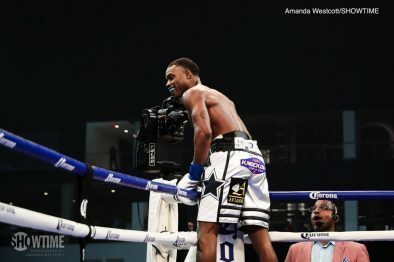 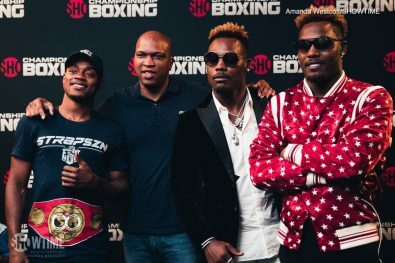 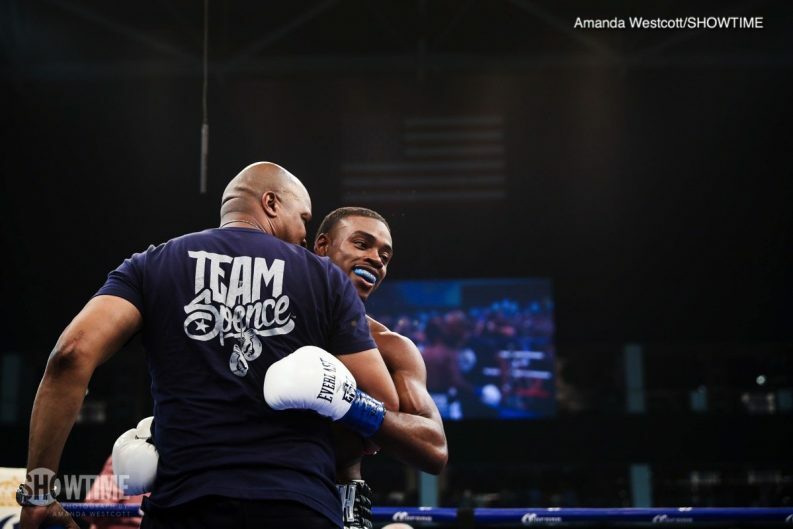 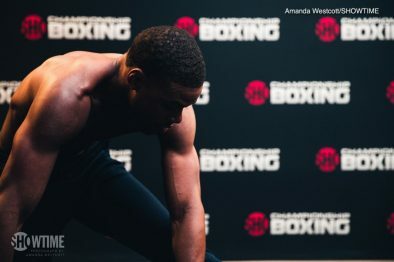 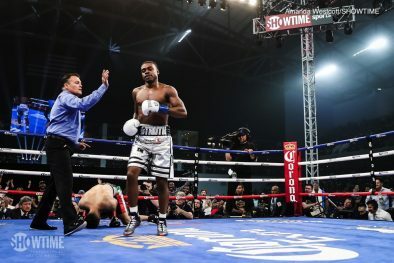 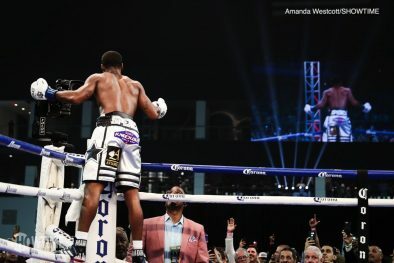 At the time of the stoppage, Grandos was leading on all three of the judges’ scorecards. 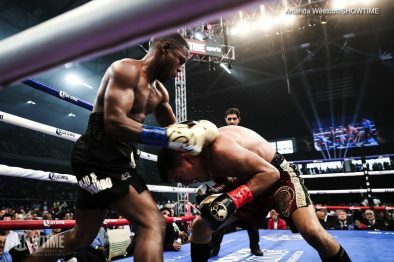 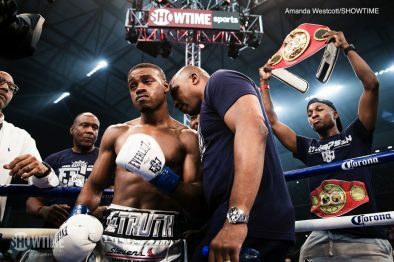 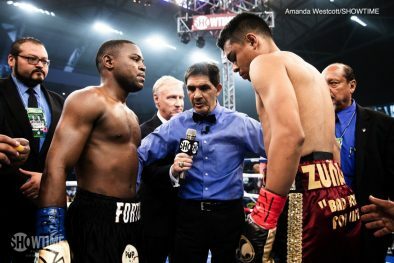 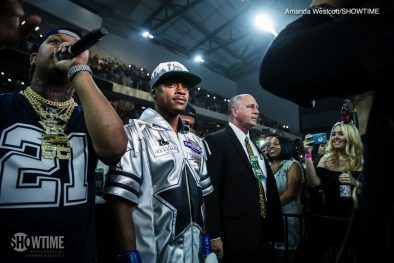 Next boxing news: Ricky Burns victorious in 50th fight, eyes future big bouts – Yuriorkis Gamboa a possibility?